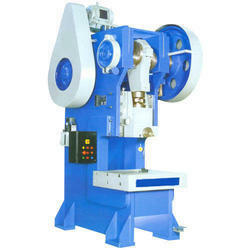 Pioneers in the industry, we offer power press machine from India. We have emerged as the foremost manufacturer and supplier of Power Press Machine. It is used for cutting the washers. It has capacity 5 Ton. Our provided power press is manufactured using excellent quality components in stern compliance with international standards of quality. Moreover to this, this power press is obtainable in varied technical specifications to fulfill the variegated requirements of customers.